Because my son has a big infatuation for hats I am always on the look out for new hats. His favorite being a fedora hat. I like to call them gentlemen hats though. 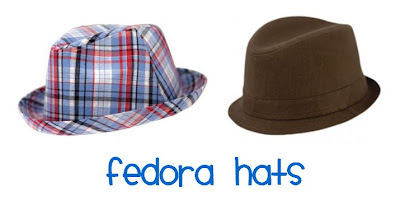 1001 Fedora Hats was a great place for me to start looking. They carry fedoras for all seasons and are available in men’s, women’s and children’s sizes. Once I started looking at hats I realized I should look into getting a sun hat for me for this summer. I found a big selection of sun hats at the Sun Hat Shop. They have those big floppy hats that are perfect for lounging at the pool. Both companies are a part of 1001 Shops. They offer free UPS ground shipping with in the United States and Canada. Gotta love free shipping, right?